Taken May 2017 during Brad Moab workshop. 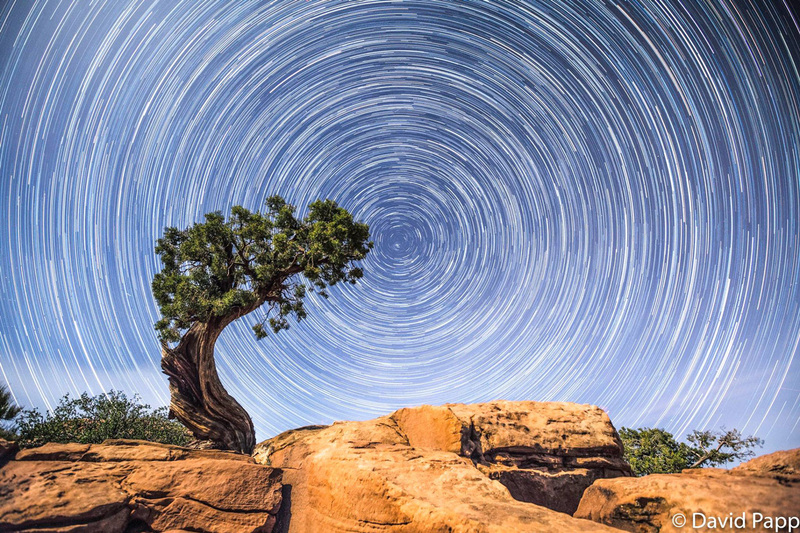 This was at Dead Horse Point State Park and as Brad knows, I have a passion for timelapse. So a star trail as a composition was right up my alley because it involved taking a timelapse to capture the moment. 251 shots for this one, 25 sec exposures, 16mm F4.0 ISO 2000 using a 5DM3. Lots of clean up to remove clouds and planes. Very happy with the result and I consider this one of my fav for 2017. See more of David’s work by visiting his Instagram account.